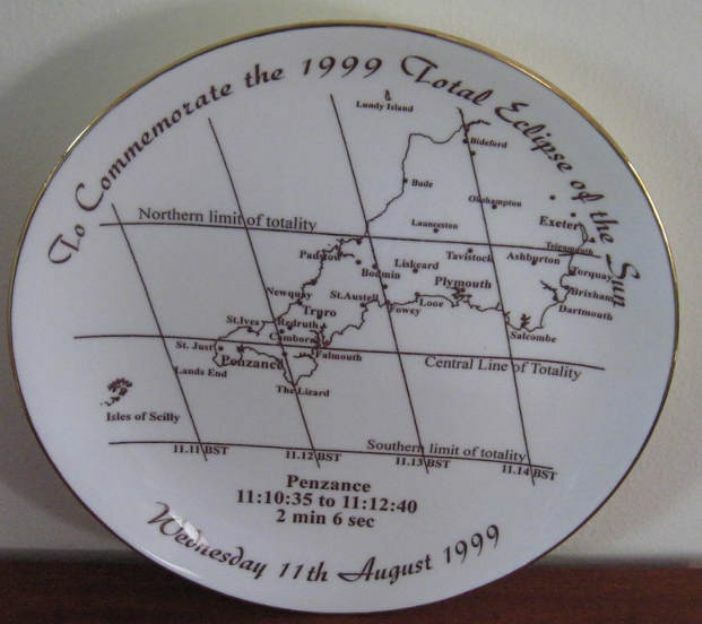 This was the first total eclipse of the sun in the UK since 29 June 1927 and the next total eclipse is not until 23 September 2090. If you missed 1999 and hope to see the next one you're going to have to take care of yourself and live well into your 90s. 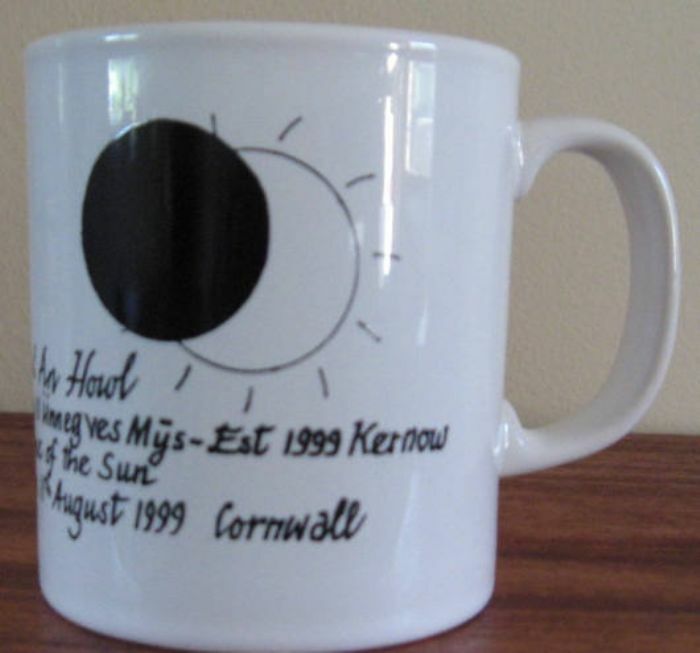 Excitement regarding the total eclipse started to build in Cornwall at least twelve months before the event. There were stories of people letting their homes out to visitors for vast sums, new (and sometimes perhaps illegal) campsites were being advertised and everyone was very concerned that Cornwall would be full!! The days before the 11 August were very busy, the supermarkets were stacked with beer, military police were being stationed at key junctions and the 10th August was a lovely sunny day so all was prepared. The BBC decided that as Marazion was on the line of totality they would broadcast from there. You can see the programme here. Philippa Forrester joined Michael Buerk as presenters. On the day before Philippa was on the beach, with a huge canvas weather map laid out on the sand, explaining to the camera how the whole eclipse worked. There were wires, cables, cameras, crowds of people watching but they were so busy concentrating on the explanation everyone forgot about the tide coming in and soon it was lapping round the cables necessitating a frantic move! Sadly, the day itself was cloudy but Marazion became gridlocked and it was eerie watching the dark coming in from the west, the birds were disturbed and all went dark but through the windows at the top of the Mount you could see the light in the sky to the south. The clouds did part just after the total eclipse so it was possible to see the image of the moon passing across the sun.